Ridelines family mountain biking experience at Glentress Forest.Ridelines family mountain biking experience at Glentress Forest. Our family days are for everyone. 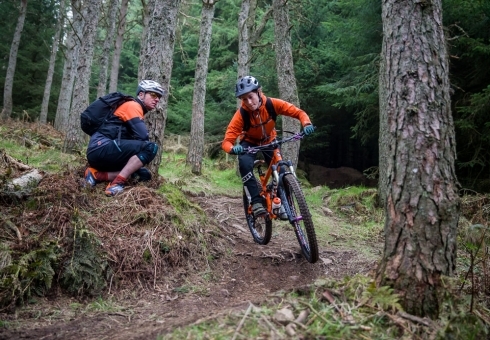 Experience Glentress forest by bike. 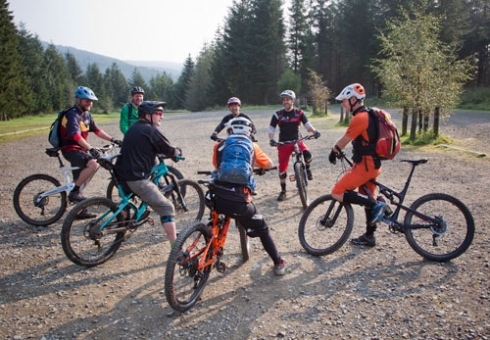 The Ridelines family mountain biking experience is for absolute beginners, mixed ability family groups or you cycling pro’s out there. As a result, we can provide anything you want on the day. We can simply custom fit the day to meet your needs. It’s all about spending time together. You’ll have a great experience and learn some new bike skills too, in a relaxed and friendly environment. It’s a relaxed, friendly and fun day out with some challenges thrown in if you want them! We’ll cover key basic skills, focus on the kids riding or look to improve the whole groups technical trail riding – it’s up to you! 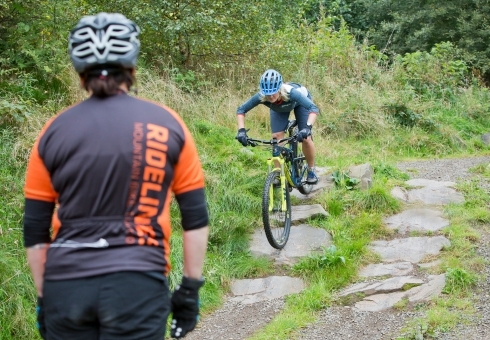 As a result, we’re sure you’ll helplessly transform into a budding mountain biker. You’re making the most of family time. Our experienced instructors will make sure both kids and grown ups get valuable skills to take away. It’s fun, safe and you’re in good hands. You’ll create some great memories. Ok, so it was just 5 reasons, but we really like being outside on bikes! Forestry Commission Scotland visitor centre at Glentress has modern, clean, warm and welcoming facilities. Therefore once you have spent some time out in the forest with us you can get changed and move on to some well deserved hot food and drinks at the cafe. There’s even a really well stocked bike shop if you fancy leaving with a memento of your family day out. Booking is for a maximum of x2 adults and x4 children (under 16). If you have any questions about the Ridelines family mountain biking experience please contact us. Year round availability – contact us to arrange. Half day (up to a 3 hour session) for a maximum of x2 adults and x4 children (under 16). Bike hire not included. Basically, kids go free! Full day (up to a 6 hour session) for a maximum of x2 adults and x4 children (under 16). Bike hire not included. Basically, kids go free! Hire bikes are not included in the booking. They can be booked for around £20 per day per person and we can book these for you in advance of your day if required. Just let us know at the time of booking.